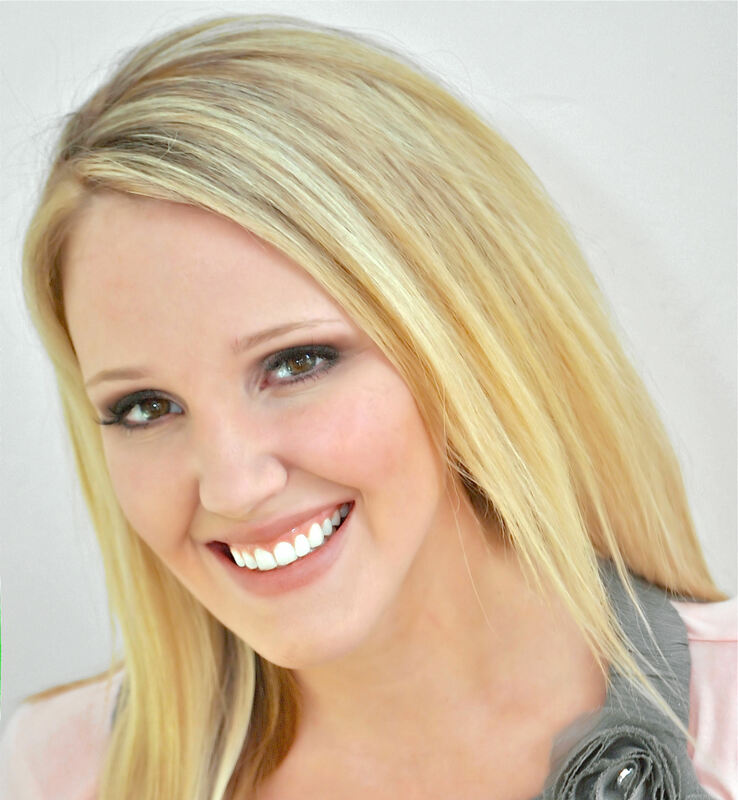 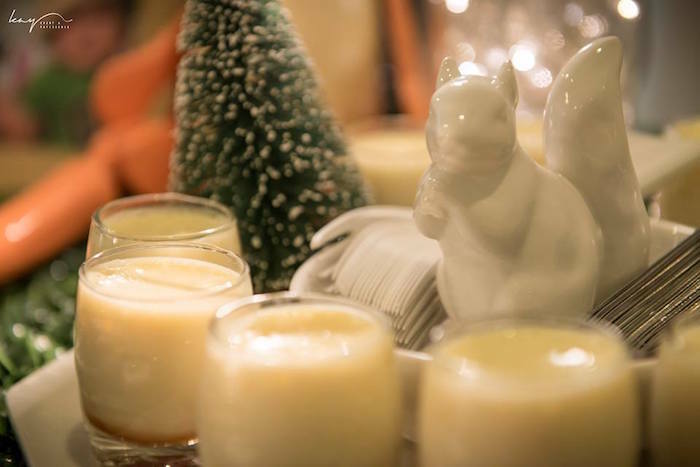 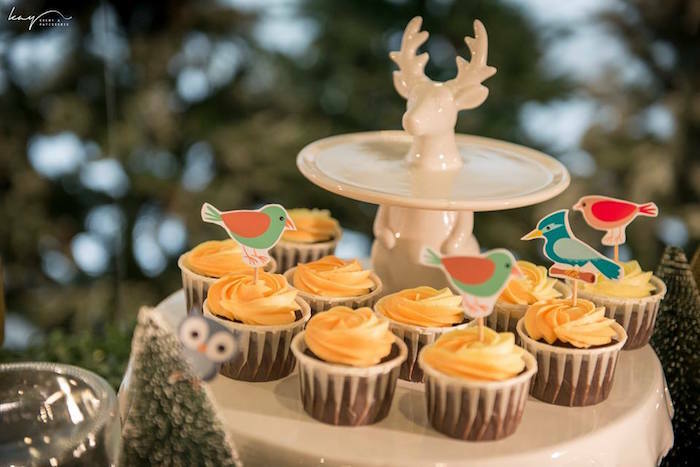 Hunting for a woodsy and completely adorable party theme? 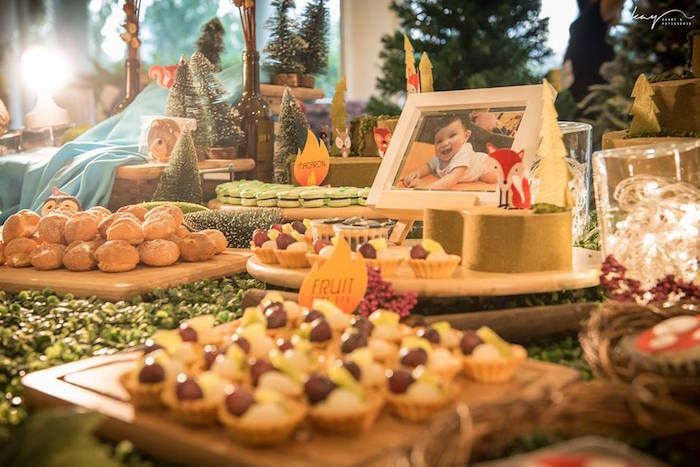 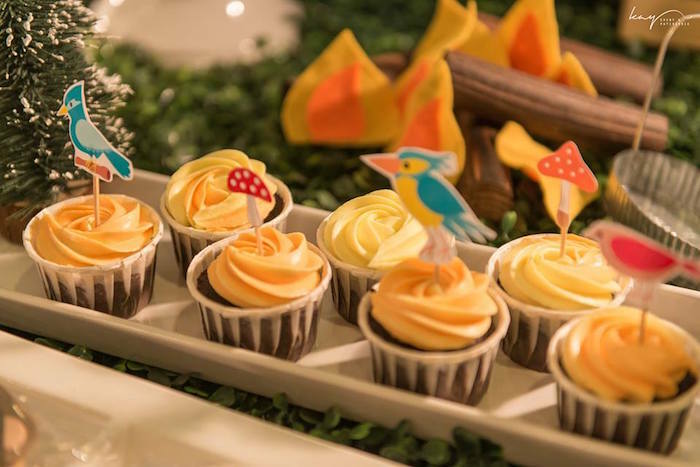 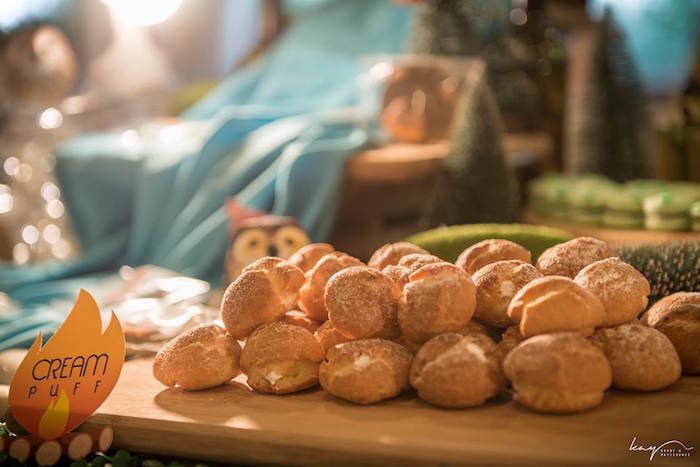 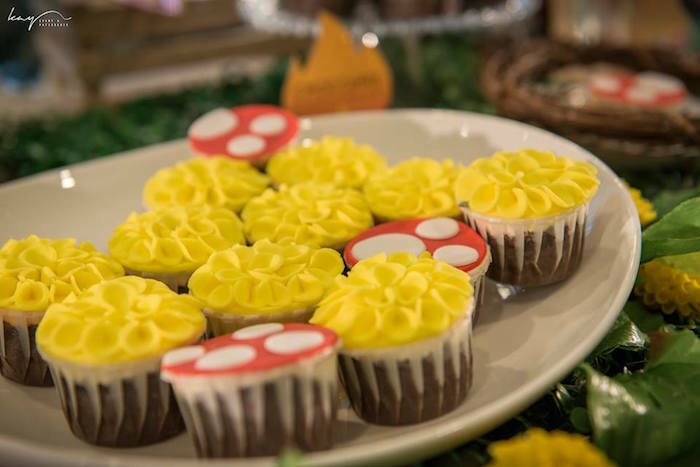 This Woodland Animal Birthday Party is just what you are looking for! 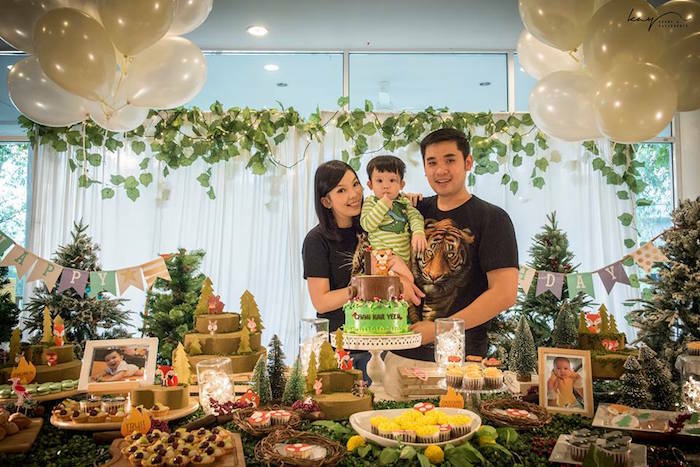 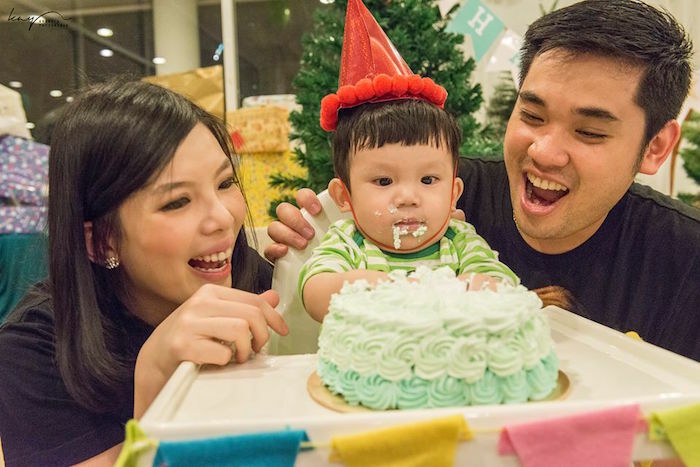 Take a look at this adorable party submitted by Stefanie Chee of Kay Event & Patisserie out of Kajang, Selangor, Malaysia! 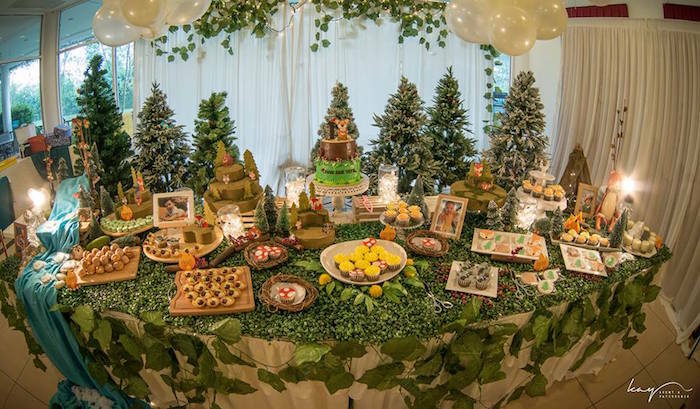 It’s packed full of great ideas to use for any Woodland Themed Occasion! 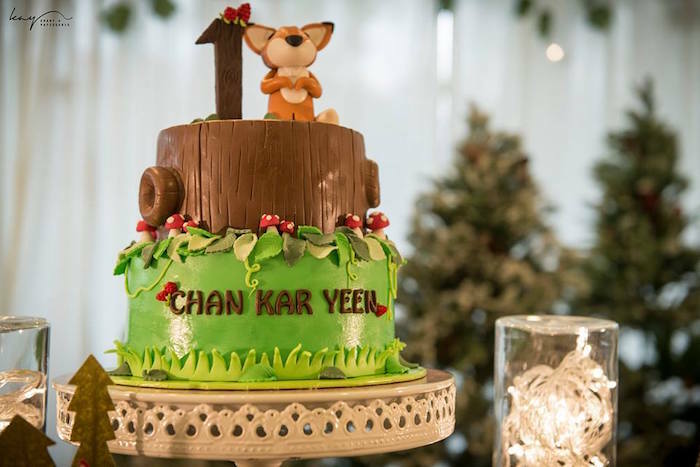 Once upon a sunny day, Baby Kar Yeen went into the wood to pick some fresh cherries. 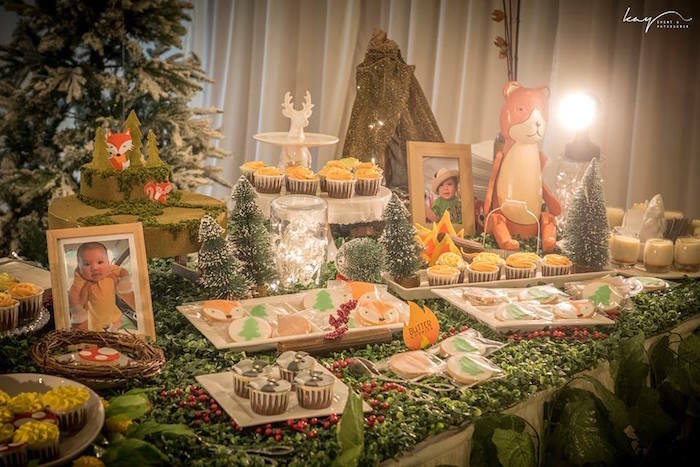 Upon his journey, he met Mr.Foxy, Mr.Brown Bear, Mr.Furry Bunny, Mr.Funny Racoon and Mr.Squirrel; and soon they became best friends. 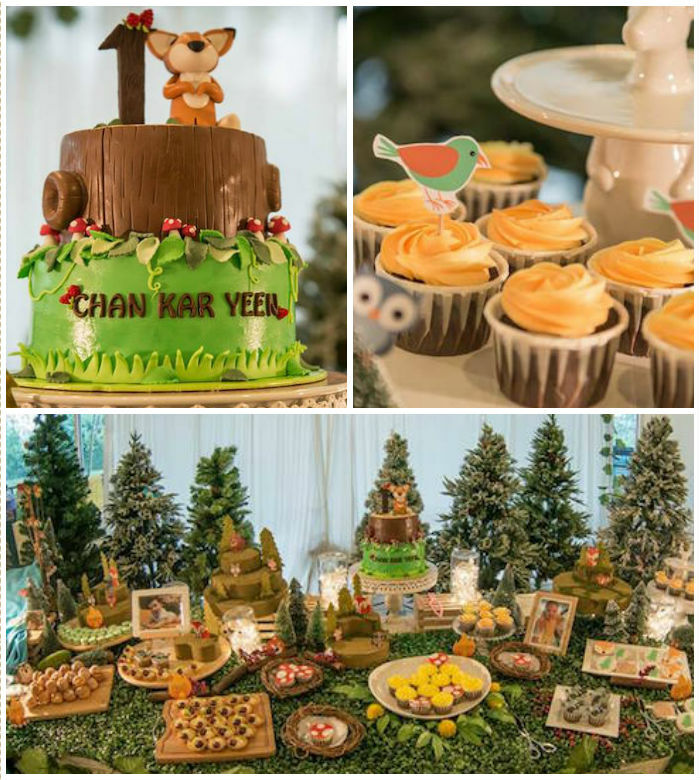 From then onwards, every Sunday morning Baby Kar Yeen will pack his favorite pastries, head deep into the woods to his tepee and share them with his woodland friends. 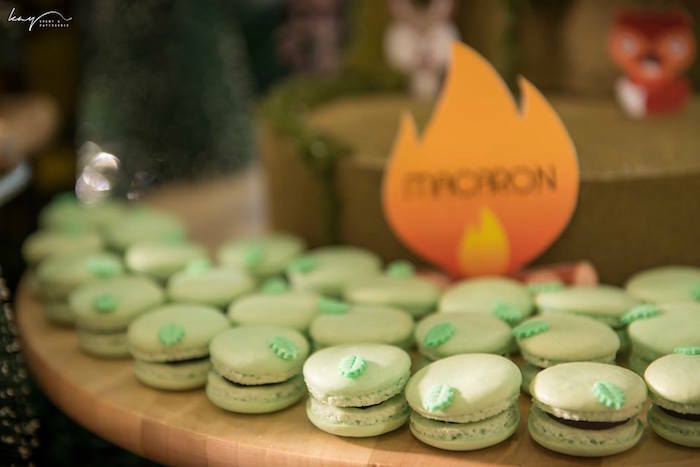 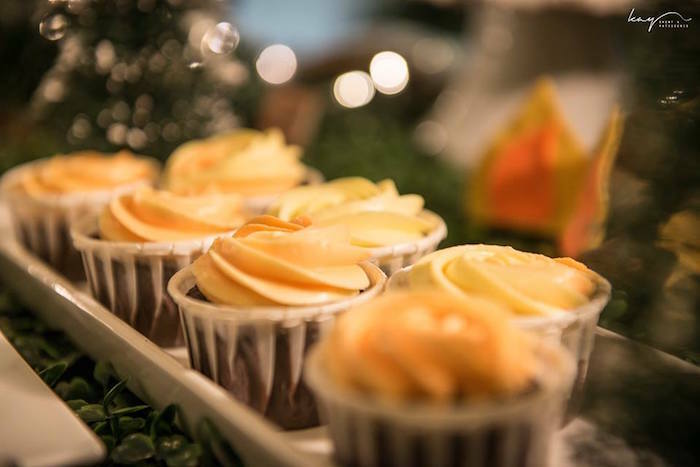 Some of his favorite pastries includes chocolate cupcakes, vanilla cream choux, macarons and caramel puddings. 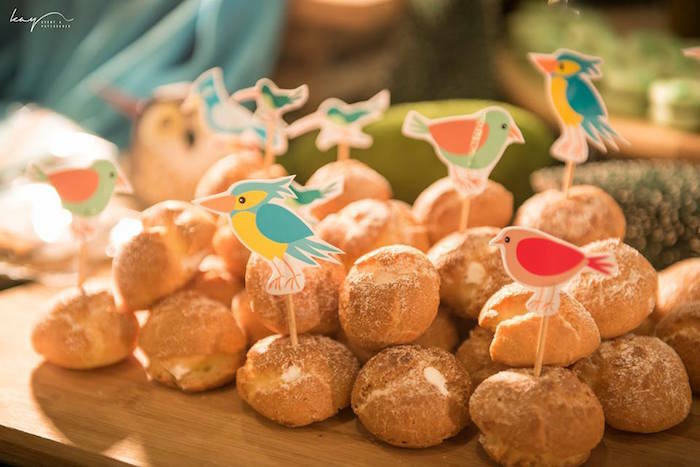 He will bring extra vanilla cream choux to feed the birds near the river too. 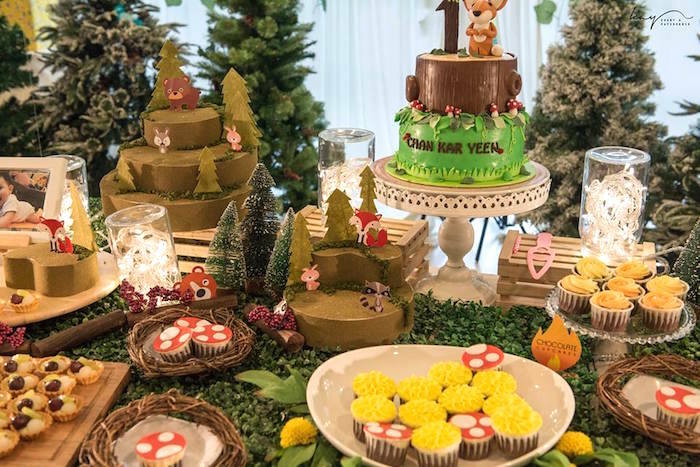 After spending some quality time with his buddies, Baby Kar Yeen will move on with cherries and mushroom picking for his mama to prepare delicious dinner.